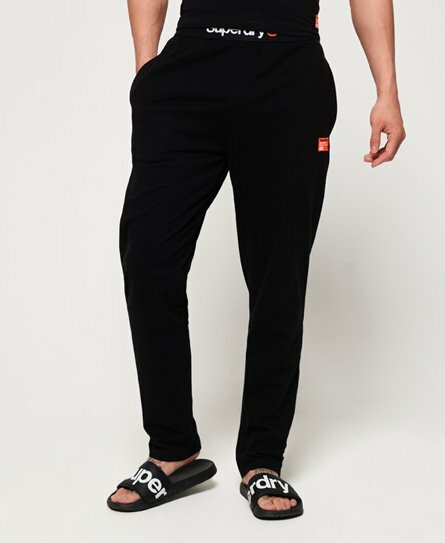 Superdry men's SD Laundry organic cotton pants. These luxuriously soft pants are great for lounging in this season, and are the perfect companion to a night in on the sofa. Featuring an elasticated waistband with logo detailing and two pockets in the side seams, these pants are completed with a small logo badge on the thigh.